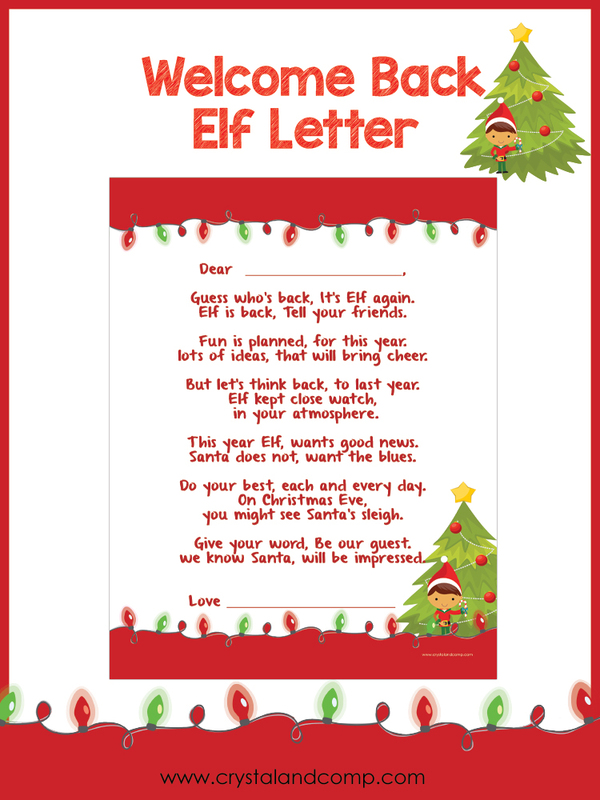 Are you on the hunt for Elf on the Shelf ideas? I love coming up with new ways to play around with our elf. Let’s face it, our kids have great days and our kids have bad days. If you’ve read the book that comes with your Elf on the Shelf, you know that your little elf is reporting back to the North Pole every night to let Santa know how your behavior is. 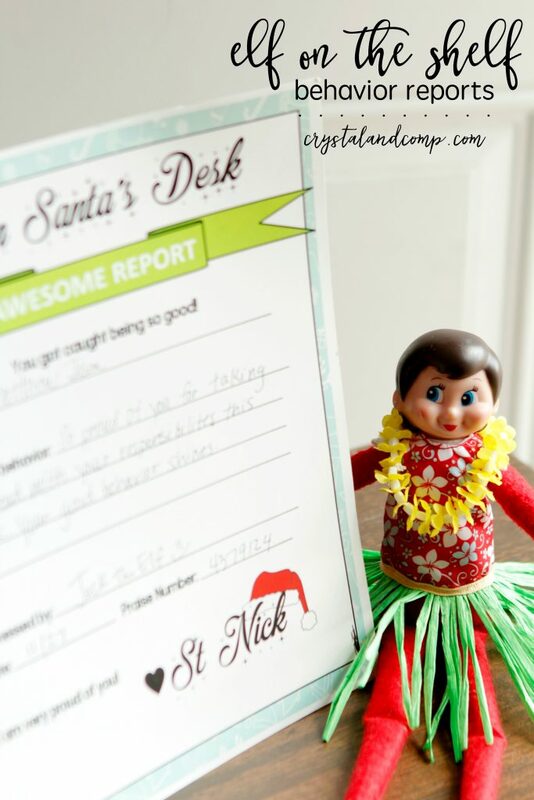 This is why we created these Elf on the Shelf Behavior Reports which include sharing praise and warnings! Let me show you how we have been using them for a couple of years now. You can go here to print them. You get both reports when you download them. One is all about recognizing your child’s awesome behavior. Think… praise report. You are going to fill in who the report is being issued to. There is space to fill in what their awesome behavior was. Maybe it is getting all of their chores done this week, maybe it is a great week of no complaining while doing their homework, maybe it is helping a friend at school, etc. There is a place for your elf to sign his name, list the date and the praise number. We also have an Official Warning Report for bad or naughty behavior. Again, there is a place to capture who it is issues to, the naughty behavior that was caught, the name of your elf who caught it, the date and a warning number. Both of these come on pages that have From Santa’s Desk letterhead and are both signed by St. Nick himself! Print and use them over and over again every season. We have an Elf on the Shelf timeout chair we like to use when we give a warning! It came in a kit and you can get it over on Amazon. 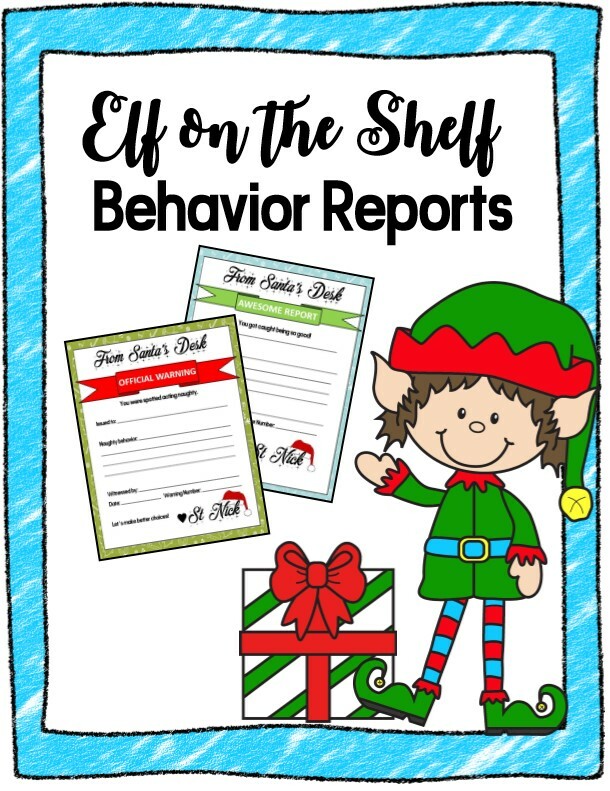 These Elf Behavior Reports are perfect for giving warnings and praising good behavior. Grab them here! Do you need more Elf on the Shelf help? Check out our go here to print them. It’s super simple to use- just print and go! This is so cute! I keep saying I am going to invest in one of these elf’s. I’ve seen Elf on the shelf do some pretty bad things lol! I love these cute printables, this is such a great idea! OMGosh! You did such an amazing job of bringing the elf back to your home another year and giving him an extra way to make the holidays special! What a genius idea! Great! After the last few months we have had with our kids Im sure we will need to print one of these off before the Elves leave. We had to do this last year too. It really helped their behavior.